One of the best things about Fierce Ink Press (my first publishers, who have since gone out of business) was that they introduced me to Emma Dolan, the illustrator who created all the covers for the Portia Adams Adventures. Well, it would seem destiny (and Emma’s considerable talent) have brought us together again, because DCB has commissioned her to create the book cover for Pickles vs the Zombies! I can finally share this gorgeous cover of book 3 in the Portia Adams Adventures created by the super-talented Emma Dolan! As promised, it’s purple, so I’m hunting for a pretty purple dress for my next event (if you didn’t know, one of my treats to myself is a dress that matches my book covers). 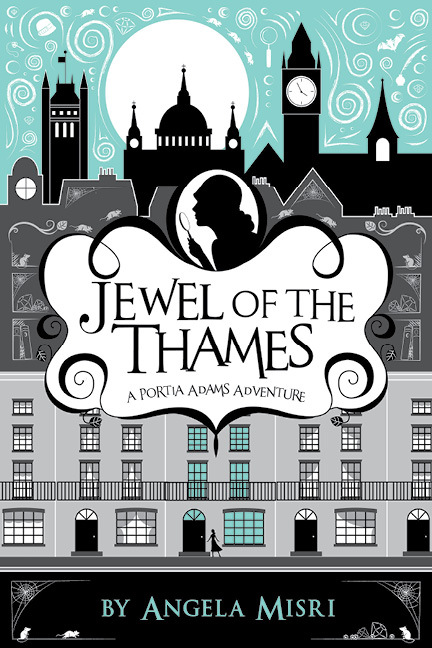 For those of you who already pre-ordered Jewel of the Thames, you got an email update about this, but for everyone else… here is the gorgeous book cover for the first book in the series, designed by Emma Dolan! She did an amazing job and you should go check out some of her other work, cause this lady has SKILLS. We’re working on the spine design now, so if you have any suggestions for series spines you really like (I for example love the spines for the latest Star Wars series), let me know? AND tell me what you think of THIS beauty in the comments below! 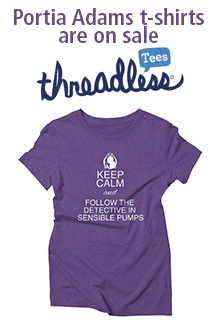 Please share liberally, we’re still in Pre-Sale mode! Just because this is what I’m focused on these days, I love this cover for The Victoria Vanishes.